The legend of Cognac is one that’s shrouded in history. And for many, in mystery. The drink is so iconic that many mistake it as one that need to be consumed in a certain way. But in all honesty, nothing could be further from the truth. Because it’s one of the most versatile spirits you can think of. 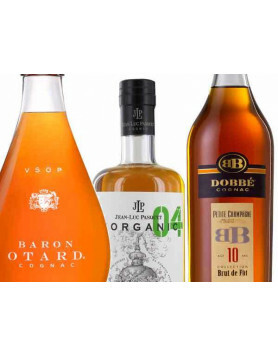 So if you ever wonder what to mix with Cognac, then let us introduce you to the wonderful world of Cognac mixed drinks; a place where the only limit is your imagination. We hear you ask – what soda to drink with Cognac? Well the spicy taste of ginger marries delightfully with certain Cognacs. In fact, there are many Cognac cocktails that use the strength of the spice to create a delicious long drink. If you fancy a long, refreshing thirst quencher, then pairing a quality VS or VSOP with ginger ale and ice is a great combination. Use a high ball glass, a shot of your favorite Cognac, and a generous portion of ginger ale. We particularly like it with Fever Tree Ginger Ale, or, for an exotic twist, use the Fever Tree Spiced Orange Ginger Ale, which combines sweet clementine and cinnamon. Together with the Cognac, the flavour explosion is exotic and sensual, one that will really hit the spot for those who value a high end drinking experience. Now, they’ll still be a few purists out there who wouldn’t dream of such a mix. But when it comes down to Cognac mixers, the time-enduring taste of Coke combined with a powerful eau-de-vie creates a flavour infusion that millions enjoy. For us, we like a splash of the fizzy stuff, ice, and a slice of lemon. The combination is really good to drink with Cognac. A quality VS, VSOP, or Napoleon Cognac is a great choice, and one that leans towards the spicier range of the spectrum works best. If you’re feeling really adventurous, then another angle to consider for your Cognac mixed drink is Cherry Coke. Best enjoyed with plenty of ice, and on a hot summer’s day. 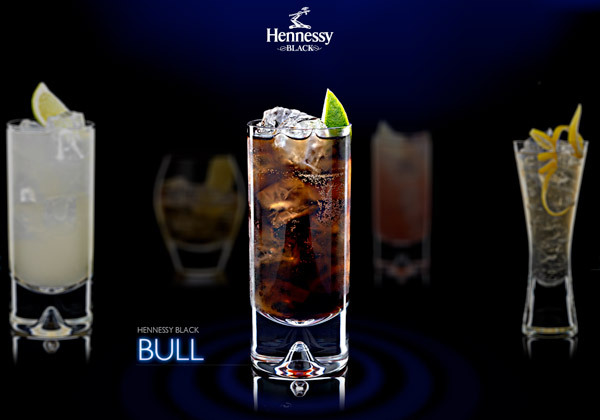 Fans of the most famous Cognac in the world will be keen to know what to drink with Hennessy Cognac. Now, it might not sound the most obvious choice, but combining it with iced tea is an incredible twist on a drink that’s a favorite with millions around the world. Mix 1.5 oz of VS or VSOP Hennessy Cognac with 0.5 oz of Grand Marnier, 2 oz of unsweetened cold tea, 1 oz of simple syrup, and 0.5 oz of fresh lemon juice. Shake it up with some ice in a cocktail shaker, garnish with a twist of orange, and voila—your drink is ready. Enjoy. We can highly recommend a heady infusion of Cognac with the aromatic beauty of vanilla or jasmine. It might sound a little complicated, but that’s really not so. Simply infuse the flavor of either plant into hot water, add the Cognac, and settle back to enjoy a rather special hot toddy. Never underestimate the humble tonic as a great way to mix and enjoy Cognac. 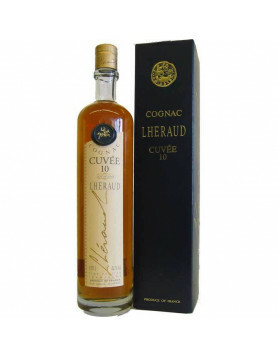 It pairs perfectly and brings out the tones of fruit that Cognac is noted for. Fever Tree produce a range of different tonics that you can experiment with. From Premium Indian to Light Mediterranean, Refreshingly Aromatic to Elderflower, each adds a unique twist and is seriously good mixer to drink with Cognac. Check out our tonic tasting to get a bit more of an idea of the difference between Schweppes and Tomr’s, as seen below in the photo. But there’s no need to stick to a particular brand, craft tonic is now a real thing. So relish the differences, and try them all. Our Tonic Tasting session between Schweppes and Tomr’s. Ice is a very underrated addition to mix with Cognac. A couple of rocks dilutes the Cognac in the glass, reducing the percentage of alcohol. This in turn reveals subtle differences in the aroma and taste. Expect to discover further fruits and spices, as well as the floral side of things. You can even place your favorite Cognac in the freezer and allow it to chill. Don’t worry, it won’t freeze because of the alcohol content. But what it will do is cause the liquid to thicken and become more viscous. This leads to a rather special reaction in the liquid, and a sumptuous velvety feel in the mouth. Delicious drunk with shell fish or sushi. Whisky drinkers will be very familiar with adding a drop of water to their liquor. But it’s not so widely done with Cognac, which is a real shame because it’s a great mixer. Don’t overdo it, of course. But a few drops will stir up the flavors and aromas, subtly revealing another side to the Cognac you’re tasting. Without a doubt, the Cognac cocktail has taken the world by storm over recent years. Mixologists the world over fight to create the very best Cognac mixed drinks, and bring their expertise to some of the finest bars around the globe. Cocktails really don’t have to be difficult to create. A few simple tools, a carefully selected range of ingredients, and—naturally—some great Cognacs, and you’re perfectly prepared to bring your own individual flair to the art of the cocktail. And don’t think that you need restrict yourself to VS or VSOP Cognacs. 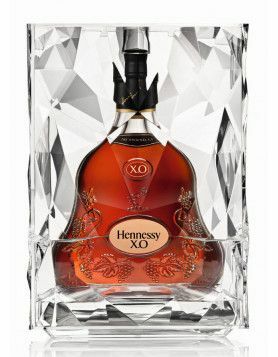 Because some of the best Cognac cocktails around the world utilize some very high quality offerings. A good XO is a great choice, and is enjoyed in some of the smartest drinking establishments. Check out our article on Cognac cocktails to whet your appetite. So there you have it. When it comes to deciding what to mix with Cognac it really is up to you. And don’t let anyone tell you that the only way to drink the famous French drink is neat. Nothing could be further from the truth. The choice of what to drink with Cognac is vast, and experimentation is definitely to be encouraged.